Quality of product and service is at the heart of Castings Services which is why we don’t just offer the cheapest option, but instead, we offer the best solution for the project. The age old adage of “buy cheap, buy twice” really does apply when it comes to covers and gratings. In order to guarantee quality, it is important to have full control and traceability in the supply chain. This is why we only source products from reputable foundries with a proven track record and high ethical and environmental standards. It is also vital to design products that don’t just meet the requirements laid out in standards, such as EN124, but rather surpass them. One must appreciate that these standards are just the minimum allowable test performance and, in order to guarantee longevity of service, products must be designed to exceed these standards when in use – in any situation. Taking all of this in to account, Castings Services Ltd opted to partner with Thomas Dudley Ltd, a UK foundry based in the heart of the Black Country, the UK’s industrial heartland. With a history going back over 100 years, Thomas Dudley has abundant experience and has embraced new technologies throughout their evolution. 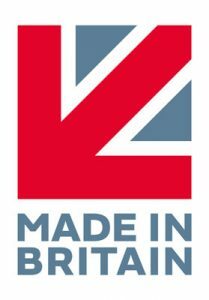 They now sit at the forefront of the UK’s iron casting industry. 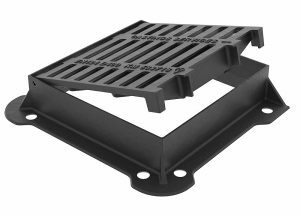 There are two key factors which go into ductile iron covers and gratings; the product design and the quality of manufacture. If one of these elements isn’t up to scratch then the finished product won’t be either. It is for these reasons that Thomas Dudley and Castings Services take design and testing so seriously. During the design stage, Thomas Dudley’s casting engineers worked with Castings Services to design in key features, which will benefit the end user and guarantee longevity of service. For example, on our D400 ranges we incorporated the features of HA104/09. 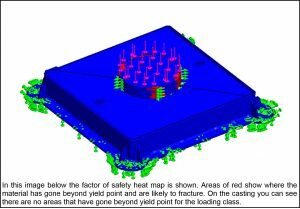 By using 3D modelling and stress analysis we can theoretically test many different designs before going to the expense of actually manufacturing a product. We are able to study what works and, equally as important what doesn’t work, then come up with the perfect design before going in to production. The design of the product is not the only factor in determining real world performance; equally important is the composition of material. For example, if the material composition is overly ductile, then you will get greater levels of deflection and wear than intended. 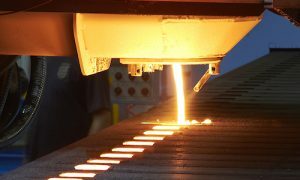 For this reason, Thomas Dudley use ATAS thermal technology to give the exact profile of the material in every batch of iron as it is produced. ATAS also highlights any corrective action so the operator can correct the composition of the material to exact specification before pouring. Using ATAS gives a far greater degree of accuracy than traditional chemical analysis or CEL, whereby the foundry has to make a best guess as to the composition of material before casting and then analyse core samples afterwards, to check that the material composition falls within allowable parameters. We are able to cast to exact levels of ductility which means each and every product is of the exact same quality as the last and the level of deflection will only be as designed. Testing after production is the only true measure of performance outside of a real life application which is why post production testing must be rigorous and comprehensive. All of the goods produced by Thomas Dudley for Castings Services are subjected to the tests outlined in EN124:1994 and EN124:2-2015 in order to be certified to the standard but, in addition to this, we also subject castings to further in house tests beyond those outlined in the standard. By running these additional tests, we are attempting to more closely imitate real life applications and to give added peace of mind as to the performance of our products in the highway. 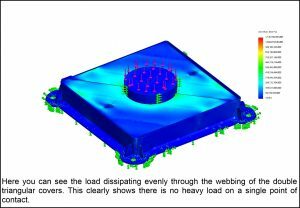 One of our additional tests, for example, replicates the load test as per EN124 but, rather than place the load centrally as specified, we place the load randomly at any point on the cover or grating because, in real life, you can’t guarantee a vehicle will pass across the very centre of the cover. To give our clients the upmost level of confidence in our products and operation we are happy for them to come and visit the foundry. We will give a guided tour of the facilities where you will follow a product from design stage to physical casting and then ultimately you can witness some product testing.